Consider wearing a BOSS wilson cyl trim fit vest and black vertical striped dress pants for a sharp classy look. 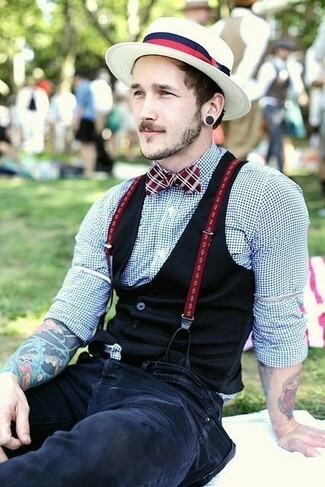 When it comes to shoes, this getup is finished off really well with black leather oxford shoes. 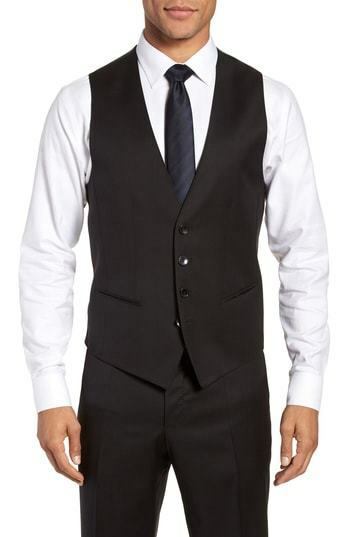 Consider wearing a BOSS wilson cyl trim fit vest and black dress pants for a sharp classy look. 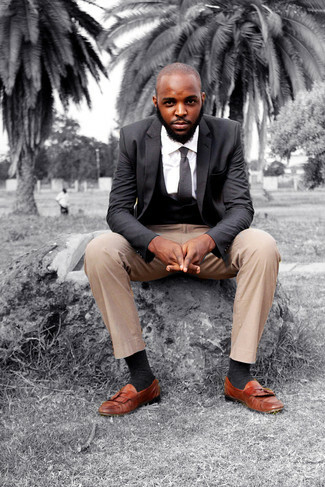 For something more on the daring side to finish off this look, rock a pair of dark brown leather derby shoes. Dress in a BOSS wilson cyl trim fit vest from Nordstrom and charcoal chinos for a sharp, fashionable look. Make your ensemble more fun by completing it with brown leather casual boots. 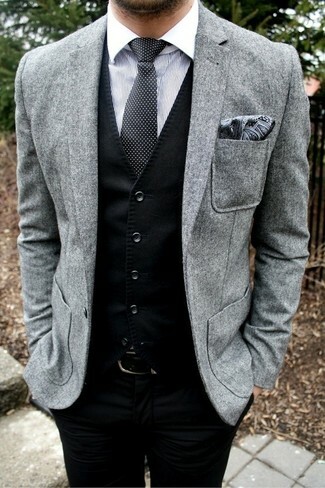 For a nothing less than incredibly stylish ensemble, pair a black waistcoat with black dress pants. 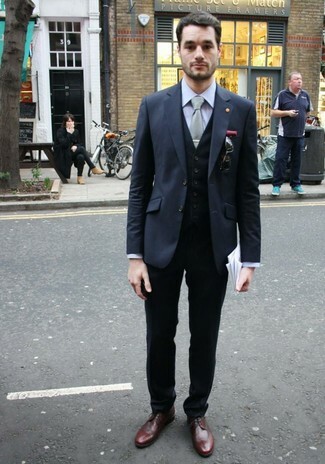 For a nothing less than incredibly stylish look, consider wearing a black waistcoat and khaki chinos. 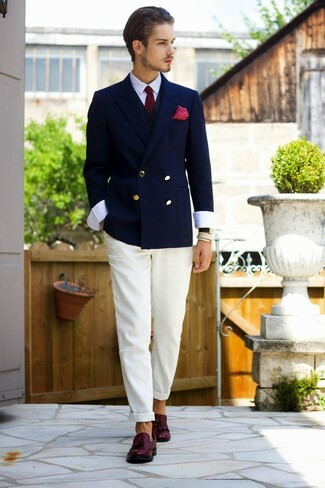 When it comes to footwear, this ensemble is round off well with tobacco leather tassel loafers. For a nothing less than incredibly stylish look, try pairing a BOSS wilson cyl trim fit vest with white chinos. A pair of dark purple leather tassel loafers will seamlessly integrate within a variety of combinations. 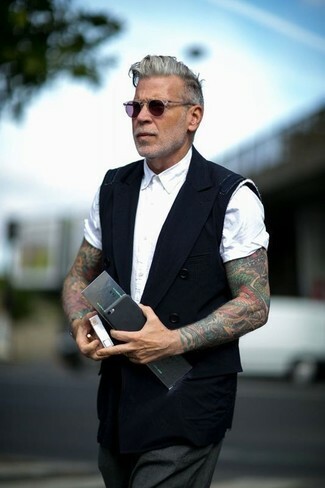 Dress in a BOSS wilson cyl trim fit vest and charcoal dress pants like a true gent. For a smart casual outfit, reach for a BOSS wilson cyl trim fit vest and beige cargo pants — these two pieces go really great together. 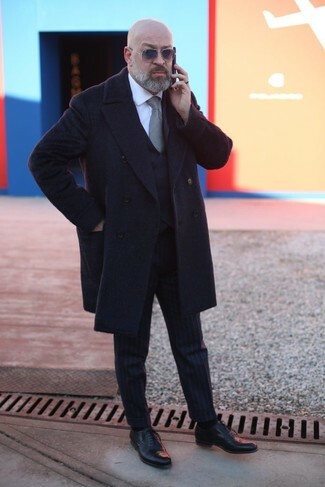 For something more on the daring side to round off this getup, opt for a pair of dark brown leather work boots. For a nothing less than incredibly stylish look, consider wearing a BOSS wilson cyl trim fit vest and black chinos.